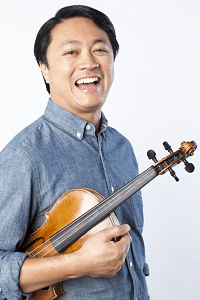 Daniel Ching, First Violinist of the Miró Quartet, visits Key to Change to work with students on their violin and viola repertoire. This event takes place at Seattle University in room 60 of Hunthausen Hall. Seattle University’s Hunthausen Hall is located on E Madison St between Broadway and 12th Ave on Capitol Hill. The address for Seattle University is 901 12th Ave, Seattle, WA 98122.